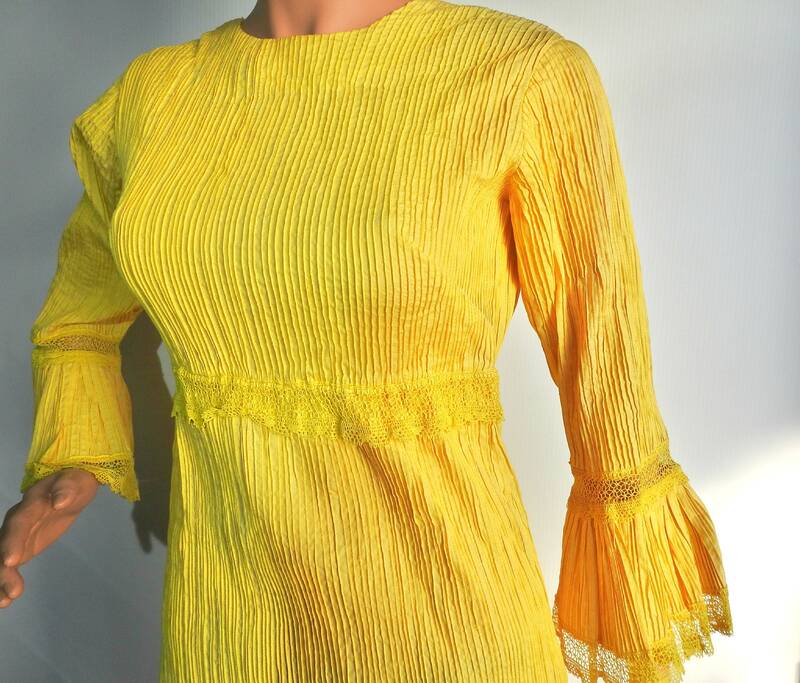 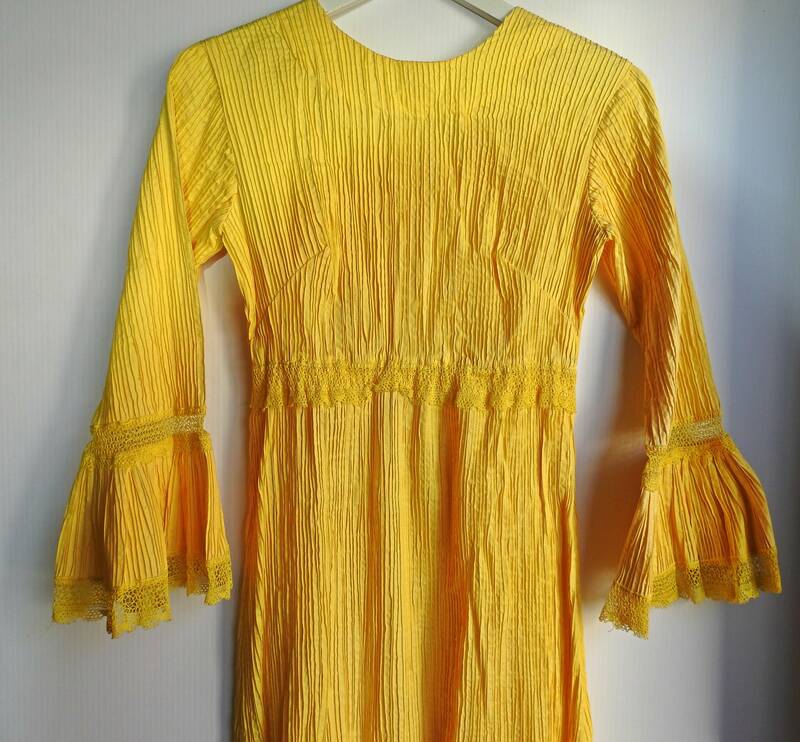 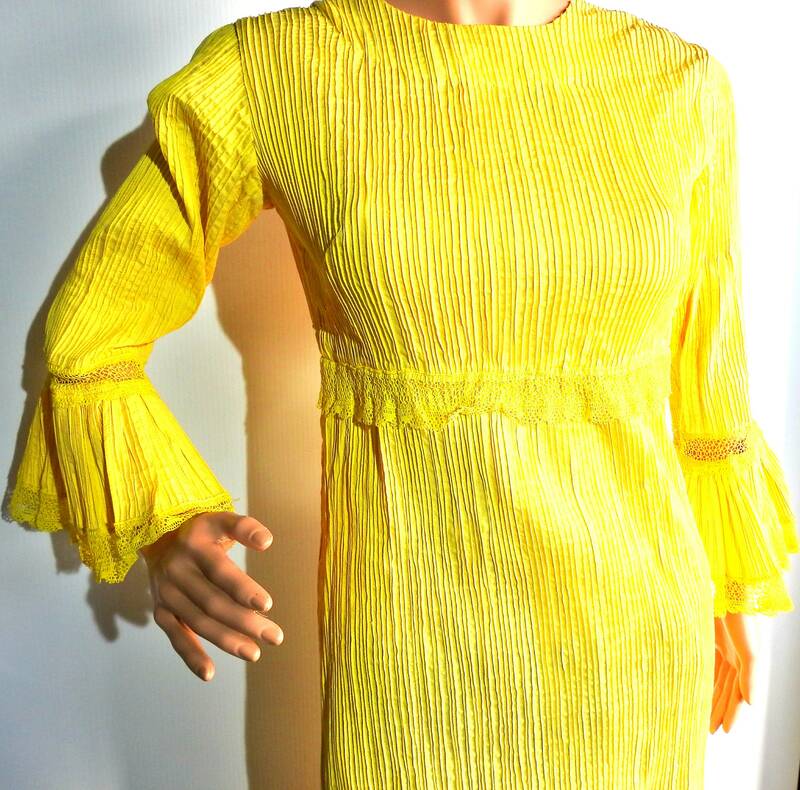 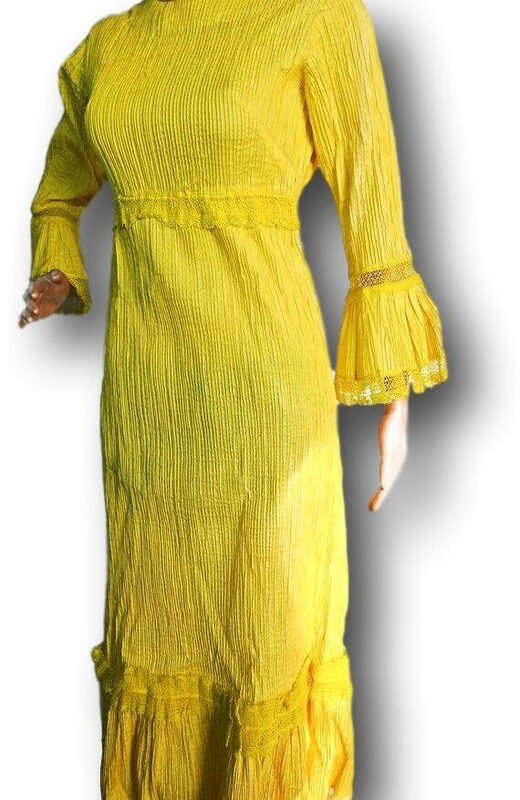 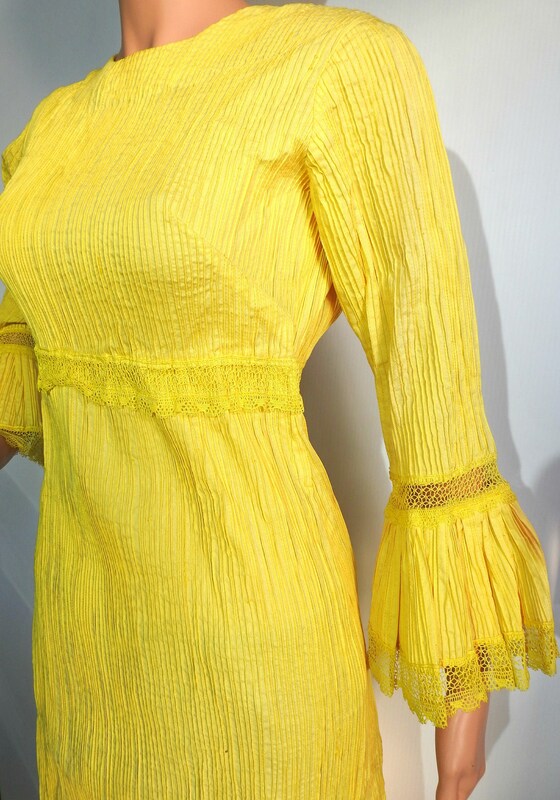 Whether you are looking for canary yellow maxi dress or a particular yellow lace long sleeve dress, you are in love with vintage Mexican dresses, you will love this bright yellow folklorico dress! 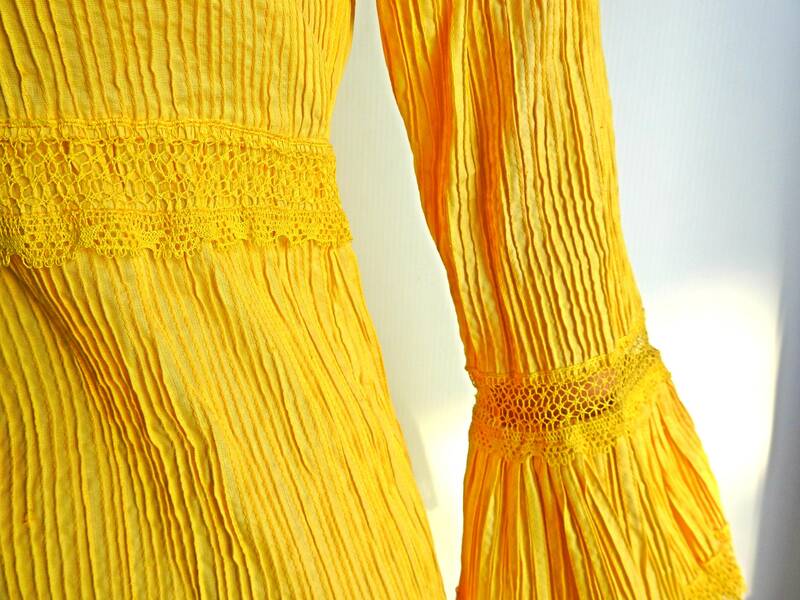 This bright yellow dress is exactly the outfit your closet needs to carry you through your next bohemian celebration! 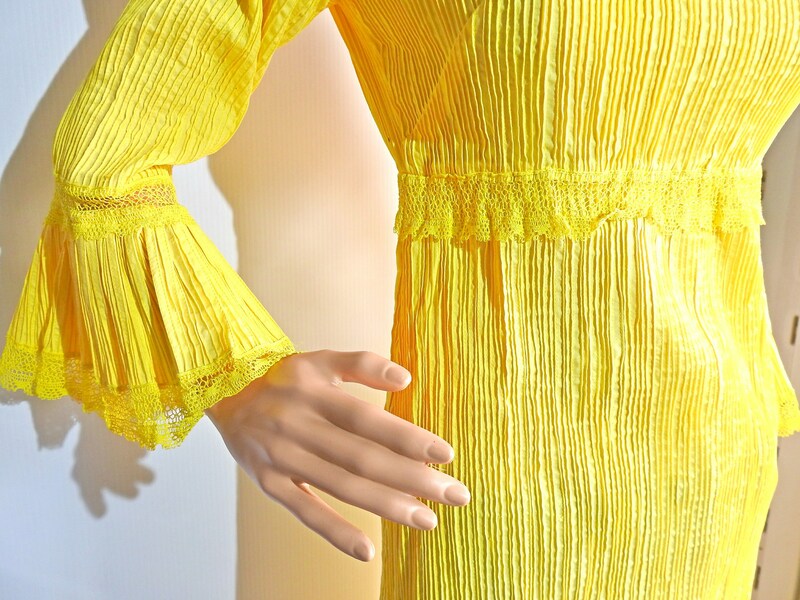 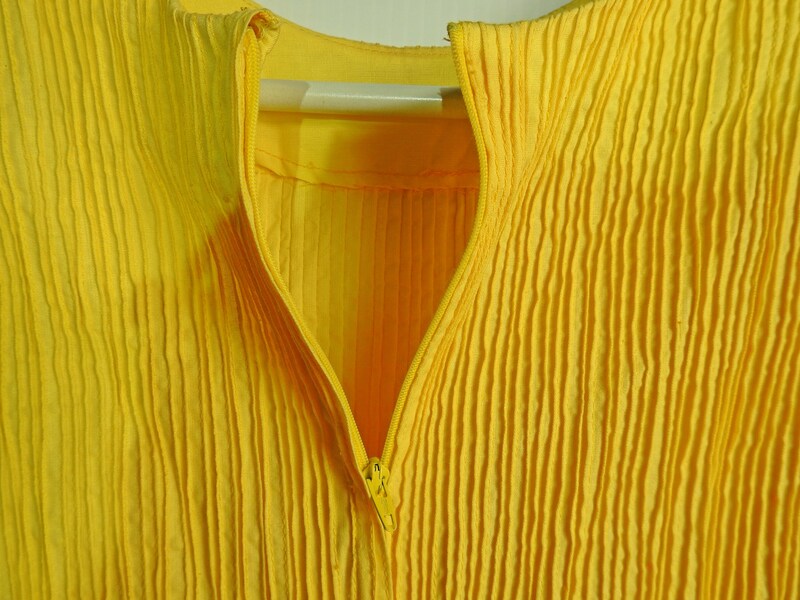 Thank you for exploring my boutique and this vintage canary yellow maxi dress!